ServiceMaster 24/7 provides expert cleaning services to homes and businesses. With state-of-the-art equipment and over 25 years of experience we can clean virtually any floor. From commercial highrise buildings to a one family cape, we will clean carpets, strip and wax VCT, clean tile and grout, wash walls, and leave your living or work space looking like new. We also work with property managers, property owners, and construction companies to help create the best value for their buildings by keeping floors well maintained and carpets clean. With truck mounted carpet extraction units constantly and IICRC certified technicians traveling in the area, we can be on site anytime that works for you. We have a variety of options for both home owners, and for businesses alike. Please click on any of the following categories to read more about what we can offer you for your particular need. Residential Carpet Cleaning - Need your carpets cleaned? ServiceMaster Clean can help. We clean a variety of carpet types. Moldy Carpet Cleaning - ServiceMaster has high powered truck mounted extraction that can clean most carpets. Carpet Allergies - Carpets trap thousands of different types of allergens. It is important to have your carpets and rugs cleaned. Business and Commercial Carpets - At ServiceMaster we have over 25 years of experience caring for commercial floors. Carpet Pet Stains - When your cat, dog or other critter makes a stain on your carpet, it is best to call the professionals. 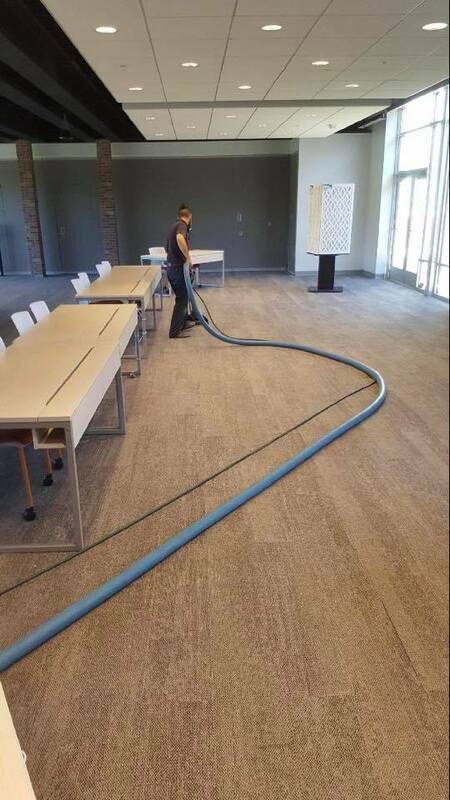 Commercial & Post Construction Carpet Cleaning - At ServiceMaster, our post-construction cleaning crews, armed with an arsenal of state-of-the-art.